Azamara’s Destination Immersion brings cruisers closer to the culture. Any journey that requires traveling halfway around the world demands some sort of enticement. A cruise aboard Azamara Club Cruises is as enticing as it gets. 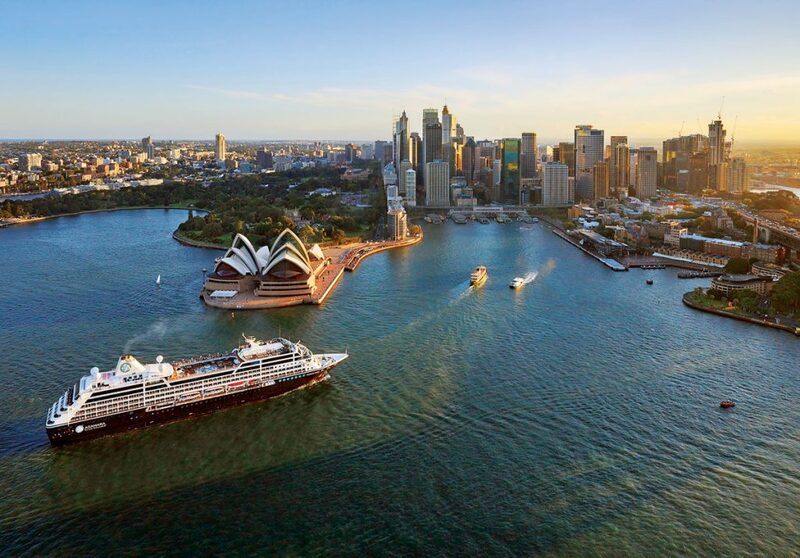 Add a compelling itinerary in Australia combined with a milieu of superb amenities, and it’s clear why the word luxury resonates so clearly throughout this voyage. She is dressed from bow to stern in snazzy contemporary styling. Inside décor is nostalgically dignified, void of illusions or gimmicks. What you see is what you get and what you get is 592 feet of distinct perfection. Reimagined and completely refurbished with fresh, contemporary décor in 2016, Azamara Journey integrates cruise tradition with innovative design to achieve an aura of class. Sailing on a ship like this embodies the strictest definition of elegance. Staterooms and suites are infused with state-of-the art-technology, astounding comfort, and an in-vogue vibe of refined taste. Public areas create a sentiment of meditative comfort due in part to the easy-on-the-eye palette of colors. It’s easy to expound on the ship’s intimate 690-guest capacity and boast about its classic design, but the de facto heart and soul of Azamara’s cruise philosophy is its Destination Immersion mantra. Often while visiting once-in-a-lifetime destinations, an early sailing time becomes your nemesis. 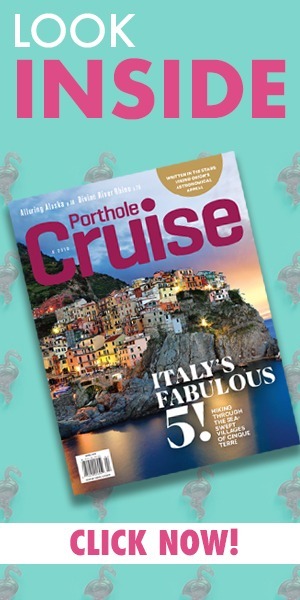 But with Azamara, port times are some of the longest in the industry, a welcome departure from the 9 to 5 — or even shorter — norm. Port calls are often scheduled late into the evening and some include overnights, giving plenty of time to truly immerse in the culture. To further complement the commitment to extensive destination engagement, the cruise line has implemented a Cruise Global, Connect Local concept for its innovative shore excursion program. The well-thought-out collection transcends superficial sightseeing with more emphasis on the people, their lifestyles, and the synergies of the destinations. On board, the explicit Destination Immersion initiative is further revealed in dinner menus. As one would expect, the gastronomic senses are stoked with outstanding culinary presentations throughout the various venues, but Azamara ups the ante by integrating regionally themed cuisine into dining choices. Each evening, a specific menu entrée is prepared to reflect global traditions and flavors. The graceful Discoveries Restaurant is the main dining room, underscored by extensive menu selections for all meals. The casual Windows Café serves internationally themed buffet dinners inspired by the region the ship is sailing, as well as lunch and breakfast options that change daily. The poolside Patio displays a full lunch menu and in the evenings offers al fresco dining under the stars. Other onboard options include a dazzling jazz brunch, a German poolside BBQ, an Indonesian feast, or a simple burger and fries. In testimony to the ubiquitous specialty dining trend, The Prime C Steakhouse caters to carnivorous cravings and Aqualina provides a fix for Italian food lovers. The exclusive Chef’s Table places emphasis on top-drawer….